Gretchen Morgenson and Joshua Rosner just published a major book, Reckless Endangerment: How Outsized Ambition, Greed, and Corruption Led to Economic Armageddon. The book is excellent in explaining the misconduct of executives who ran Fannie Mae and Freddie Mack. Yet it goes off the rails by overstating the role of these firms (and understating the role of others) in creating the housing meltdown and the closely-linked foreclosure crisis. Indeed, our current economic crisis should prompt us to ask more far-reaching questions about the origins of the crisis. Looking back, many of us—and by “us,” I certainly include liberal Democrats—were slow to recognize the general dangers posed by the housing bubble, and the specific dangers posed by the political economy of government sponsored enterprises (GSEs). Many of us were also unduly credulous about the presumed benefits of home ownership. While perhaps not as easy to address, these uncomfortable questions must be raised if we hope to guard against the possibility of something of this magnitude happening again. In an excellent review in the American Prospect, Robert Kuttner demonstrates how private firms such as Countrywide were far more culpable—economically, morally, and legally—than Fannie Mae, Freddie Mac, or other GSEs in initiating the current crisis. Fannie and Freddie certainly did not originate “liar loans” and other predatory mortgage products that have cost the taxpayer so dearly and that led so many families to lose their homes. The timing of events demonstrates that GSEs were profit-chasing followers rather than fraudulent leaders herding into the abyss. That said, Fannie and Freddie’s conduct was both appalling and reckless. Many of the ultimate victims were moderate-income residents of predominantly minority communities, precisely the sort of people whom progressive housing policy seeks to help. The GSEs’ culpability starts with two principal malefactors, Jim Johnson and Franklin Raines. These executives earned enormous salaries by taking on enormous risks—risks which led to the eventual destruction of their companies and to a massive bailout. The culpability extends to many others, too—to the industry’s many patrons and enablers in both political parties. These officials helped to mix an explosive brew of for-profit incentives backed by implicit government guarantees. When the housing market blew up, this mixture blew up, too. We should hold people accountable. The dangers embodied in Fannie and Freddie were hardly unknown. Two of my politically moderate professors noted the dangers of such hybrid arrangements thirty years ago. On the left, James Galbraith’s Predator State noted the same familiar pathologies, though he drew somewhat different political implications. For years, many people realized that the structure of GSEs was fundamentally problematic. Yet both parties accepted these firms’ leadership into the Washington fold and failed to effectively head off their eventual implosion. It was a fundamental error of judgment to allow people such as Raines and Johnson to play politically influential roles. The sight of prominent politicos (current and former) teemed around Fannie and Freddie should have triggered greater alarm. The alarm bells failed to ring sufficiently loudly or sufficiently often for regulators and elected officials to effectively intervene. But beyond GSEs’ perverse incentive structures, we need to ask hard questions about what we are trying to accomplish in housing policy. We overestimated the value of home ownership as a strategy to stabilize neighborhoods and to provide a path to upward mobility. Here in Chicago, lenders and their allies were able to depict efforts to provide mortgage counseling for vulnerable home buyers as a return to redlining and discrimination. 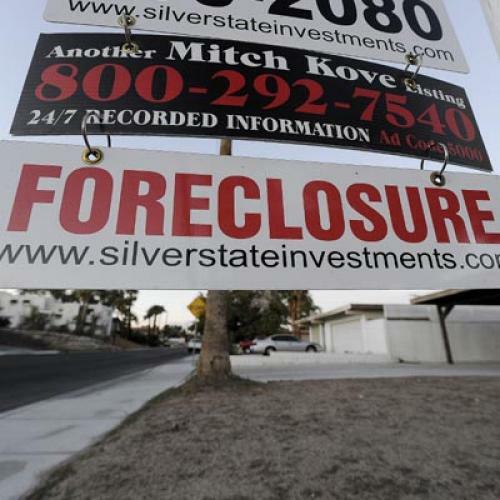 Such rhetoric was more politically effective than it should have been, and it remains more effective than it should be right now—for example, when civil rights organizations oppose provisions that would require mortgage originators to retain five percent interest in potentially risky loans. Here is one central reality. A small down payment mortgage is the most leveraged, least diversified investment most Americans will ever make. If we internalize the idea that housing prices do not automatically traverse an upward escalator, it’s not obvious that we should be encouraging families to take these risks. The risks are greatest when families assume subprime mortgages or are victims of fraud. But even when everything is transparent, there are inherent risks. It’s easy to overlook these risks because housing prices were on a positive trajectory for many years. Low-interest, low-money-down VA and FHA loans promoted upward mobility for a quarter-century following World War II. One might regard these policies as central pillars in the creation of a stable middle-class. Maybe they were. Yet in retrospect, the more important factor was the anomalous stable and prosperous stretch of American economic history that supported these policies. There is no guarantee that such sustained and stable prosperity will return anytime soon to Americans of modest means. Consider a married couple making $60,000 a year. Suppose they buy a $200,000 home with a fixed-rate 30-year mortgage and $6,000 down. That’s hardly a reckless scenario. Yet if local home prices drop by ten percent, this family is $14,000 underwater. If their marriage or their furnace breaks, if someone loses a job, this couple is in real trouble. If family dislocations arise from broader economic difficulties that depress local property values, they are in even deeper trouble. Progressives should be chastened by the history of the housing mess. We need to rethink the all-American aspiration to widespread home ownership. When our society offers no guarantees to buffer instability and risk, we need other, safer ways to support families and neighborhoods, and to promote upward mobility.